The Berlin Wall stood until November 9, 1989, when the head of the East German Communist Party announced that citizens of the GDR could cross the border whenever they pleased. That night, ecstatic crowds swarmed the wall. 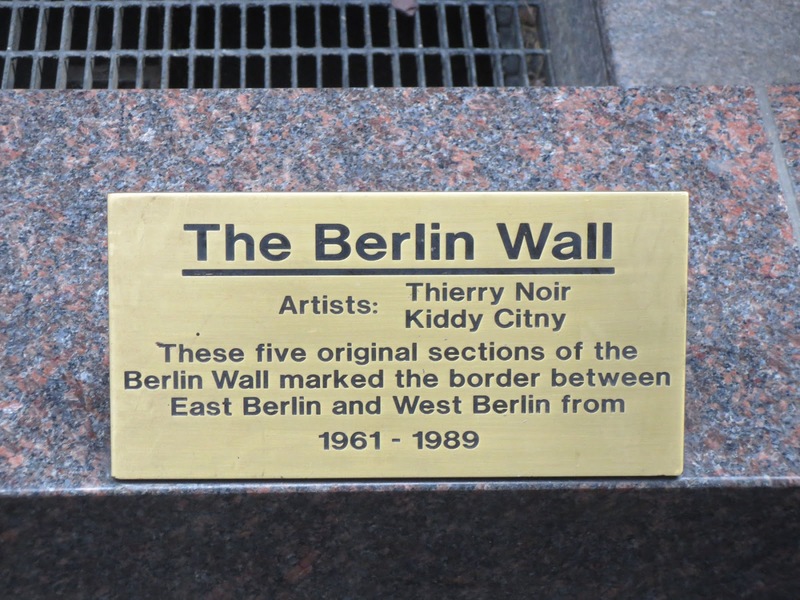 Some crossed freely into West Berlin, while others brought hammers and picks and began to chip away at the wall itself. To this day, the Berlin Wall remains one of the most powerful and enduring symbols of the Cold War. 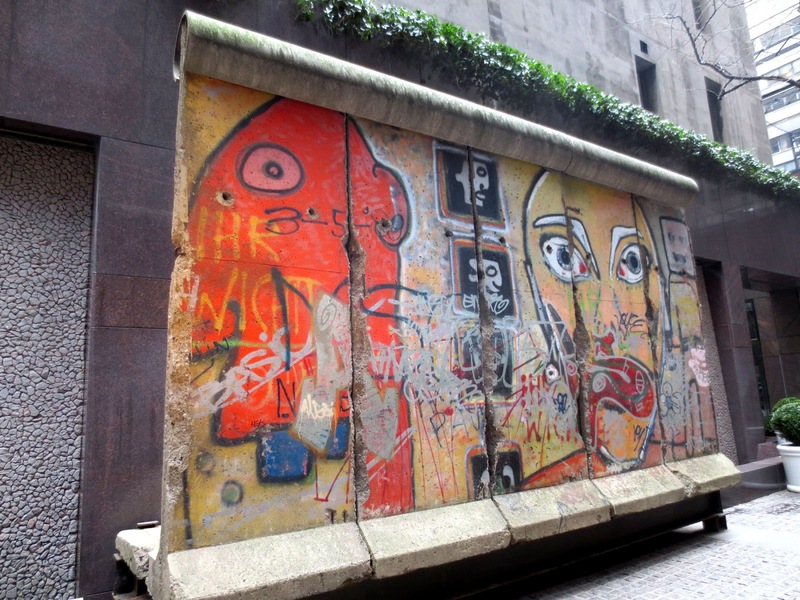 Five slabs of Cold War Berlin wall are arranged side-by-side in an East Side vest-pocket park in New York. It was sold by the former East German government to Jerry Speyer of Tishman Speyer, the real estate giant that owns the plaza. Speyer installed it here in 1990, a year after the wall’s demise. It’s not the only section to make it to New York; three more dot the city. 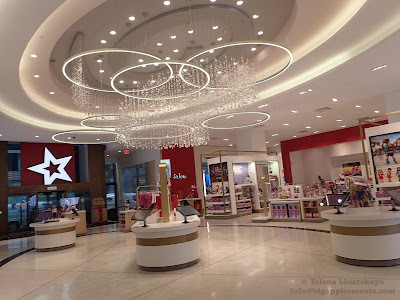 “One can be found at the entrance to the Intrepid Sea-Air-Space Museum, and another between Gateway Plaza, the North Cove Marina, and the World Financial Center,” NYCityMap Blog tells us.